Well, well, well…. looks like I am 1/5th done with my 100 days! Can’t believe how fast it has been. I am working on a fun blog post for this weekend regarding the great city of Fort Worth! 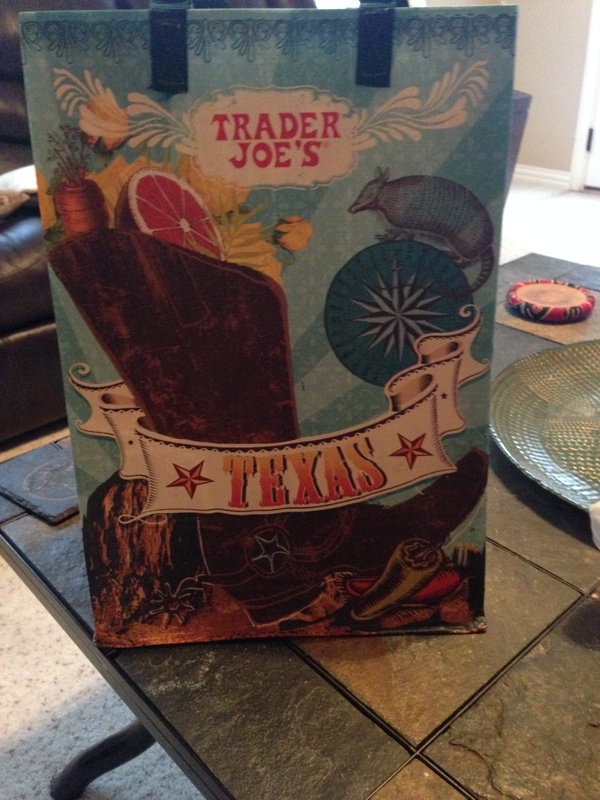 One of my favorite places that I love getting the chance to browse is Trader Joe’s. The staff is so friendly and even on a crazy Saturday I was in and out in a jiffy! I couldn’t resist this cute reusable bag (I have a zillion so why not just one more… that I will forget to bring with me on the next trip ha)!